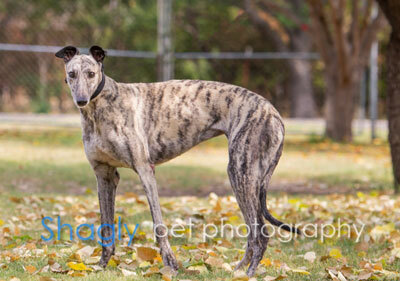 Jenny, aka Racing Wild, is a stunning fawn brindle 2 year old female born April 21, 2016. Her sire is Kiowa Mon Manny and her dam is Racing Angel. 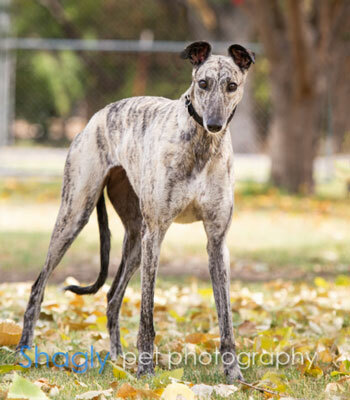 It took only one race at Orange Park on April 4, 2018, for this girl to leave the circuit and start looking for her forever couch! It is not known at this time if Jenny is small animal or cat tolerant. A prettier greyhound there never was. This girl will steal your heart the moment you see her — and she’s a gracious houseguest, to boot. Jenny’s house manners are flawless, and in her night owls will find a companionwho is happy to sleep in. From time to time you may even forget you have company, she’s that polite. In general, Jenny’s temperament is very sweet, independent and quiet. At this time she hasn’t discovered the joys of toys. When Jenny wants some alone time she’s content to rest in her crate. Jenny is slow to open up in new environments but the person who shows her the patience and love will no doubt reap enormous rewards. When it's time to reward Jenny, a banana will make her a happy pup.